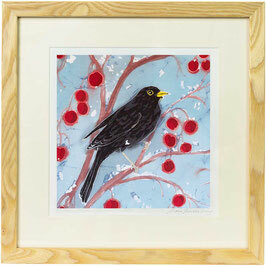 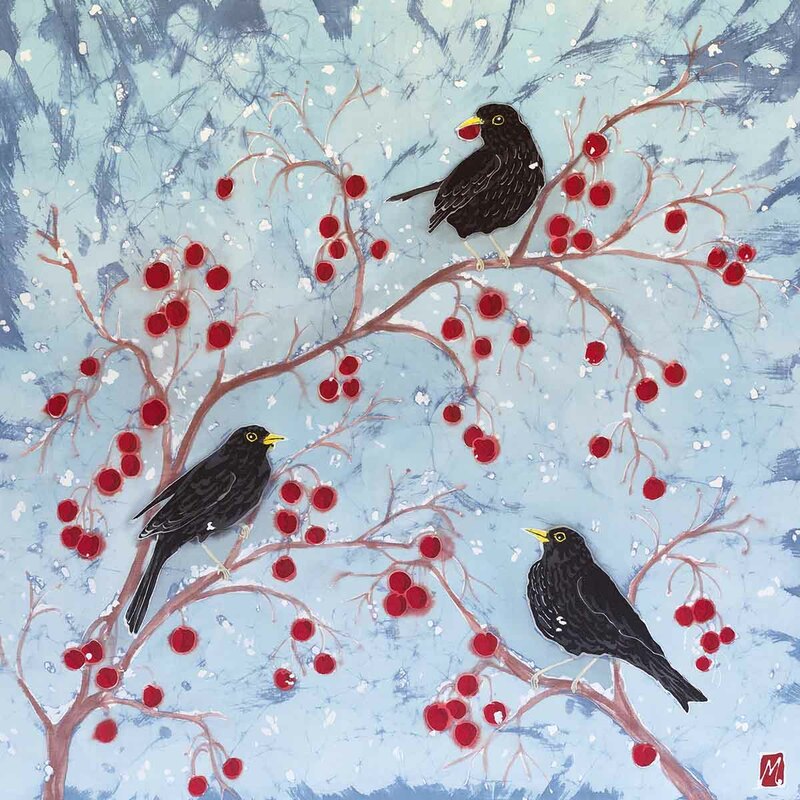 Winter in England is the time to feed the birds, and what better food than juicy red crabapples, the tree I have in my garden attracts lots of blackbirds, this image was inspired by the colour of the clear sky and the deep red apples, with the contrast of the blackbird. 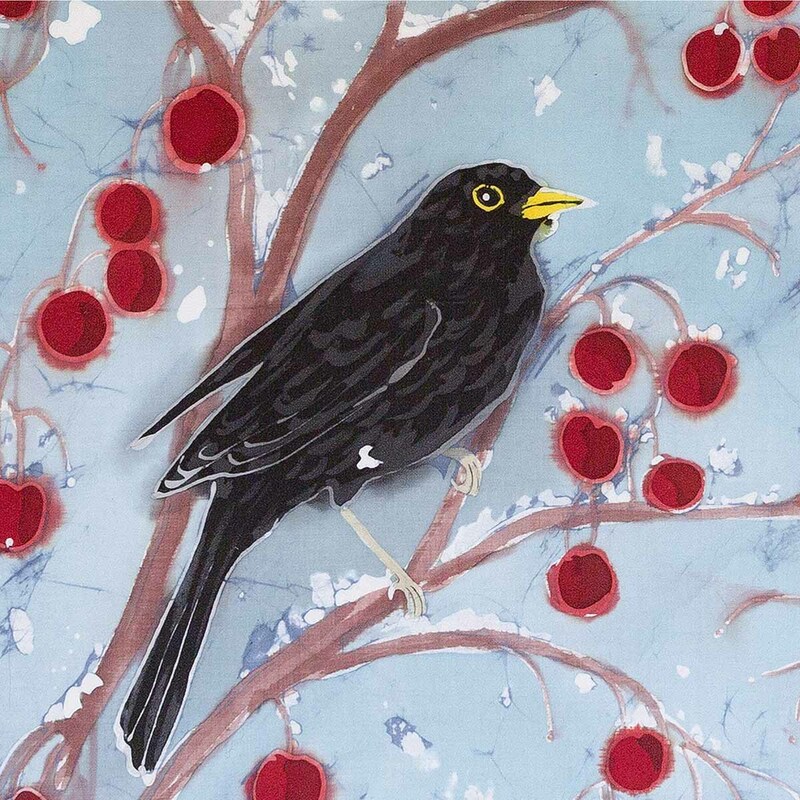 Clear blue skies, red crab apples, snow and a hungry Blackbirds, a typical British winter scene with one of our favourite garden birds. 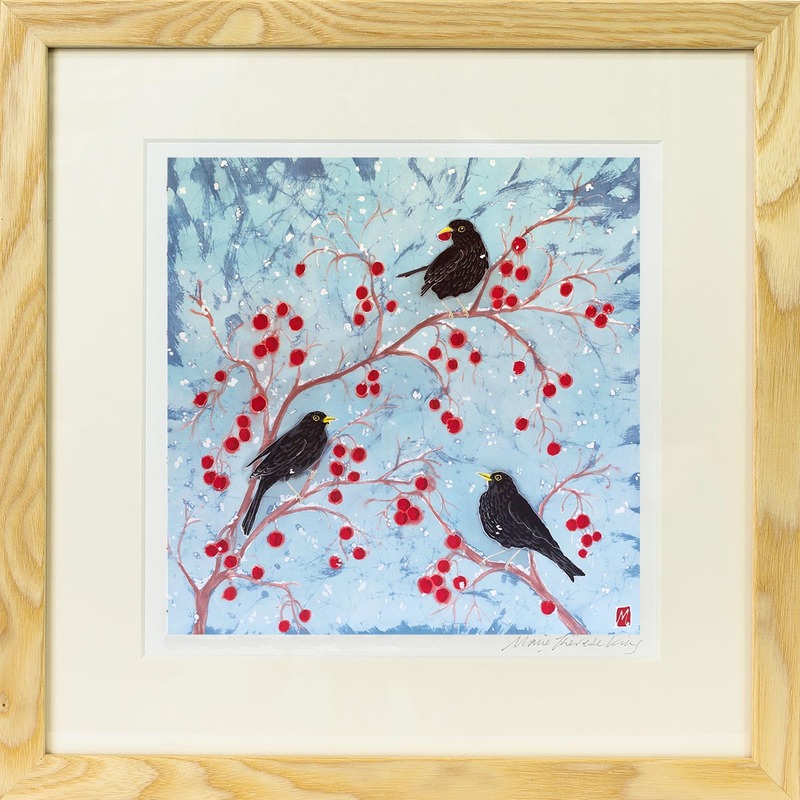 These prints make the perfect gift for a bird lover.